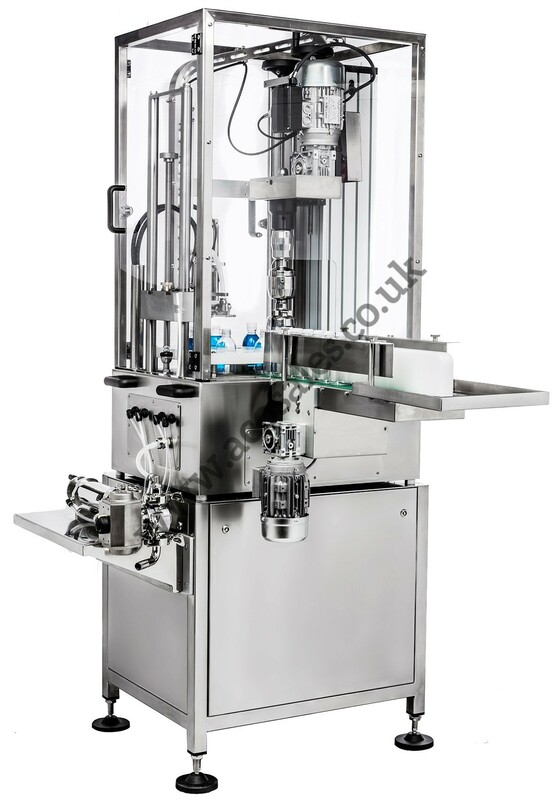 This machine is suitable for filling glass or plastic bottles with liquid / semiliquid products by mean of a volumetric piston filler with a 5-260 ml dosing range and closing the same with one size of cap. All the parts in contact with the product are manufactured with AISI 316 L stainless steel and PTFE and FKM gaskets. The filling and capping stations stand in a cabin with front and back access doors. Eight position star-wheel with mechanic phasing clutch. The machine can be installed with a vibrating base cap sorter and feeder. The cap closing is performed by either a hysteresis magnetic clutch with a custom-made s/steel chuck or a 4 roller ROPP capping head. 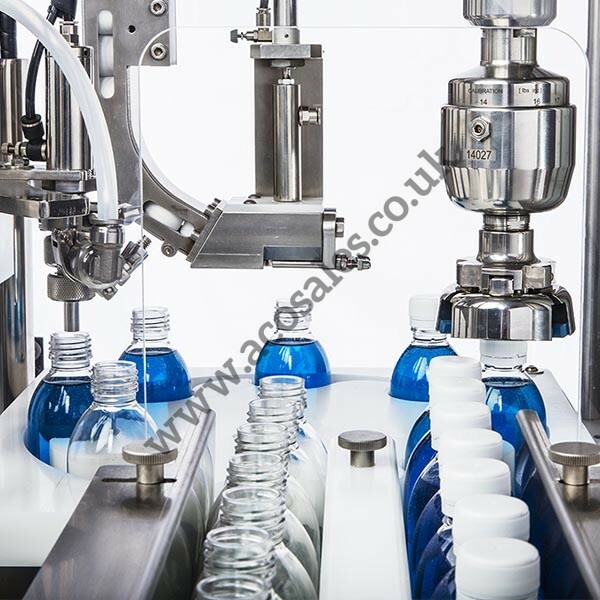 This monobloc is also available without automatic cap feeding and placement, please see the video. 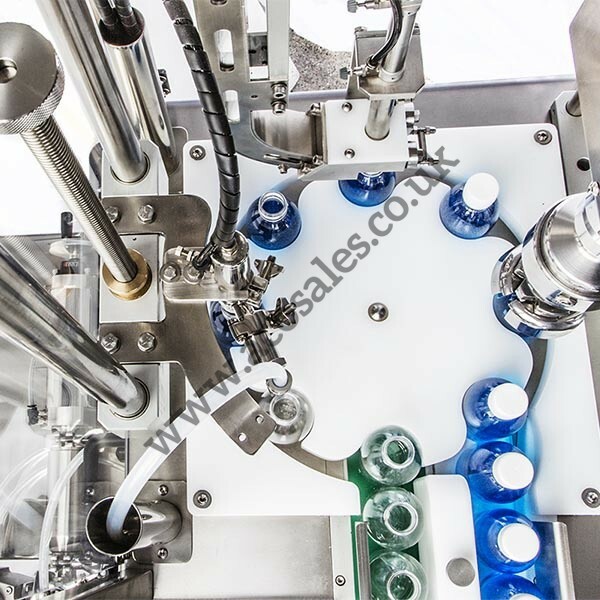 Model: Fully automatic bottling machine for foods, cosmetics, toiletries etc.